Caption: Dan and Andy’s Hawthorne Garage, located in Hawthorne, Brisbane. The Garage recently celebrated its third year operating in the area, offering locals all their fresh grocer, deli and produce needs. For this photo, I needed a caption that allowed the viewer to understand the location as well as the back story. I didn’t want the viewer to think this was just a picture of a sign for a shop. According to Murabayashi, (2008 p.1) “the first sentence describes the subject/action depicted in the image, while the subsequent sentences give context to the image”. Therefore, there is two parts to this quote; firstly describing the subject i.e the Hawthorne Garage and where it’s located, and secondly offering context to the image i.e has been running for three years, offering locals fresh produce, deli and grocer. Caption: Barista and coffee lover practices latte art at home to improve skills. I found this caption a little difficult, so I kept it short and sweet. I wanted to portray to the reader what was happening but mostly why it was happening. A well-writen caption answers the who, what, when, where and why of the subject in the photograph (Murabayashi 2008). I believe I captured the 5 W’s that were relevant in this caption. 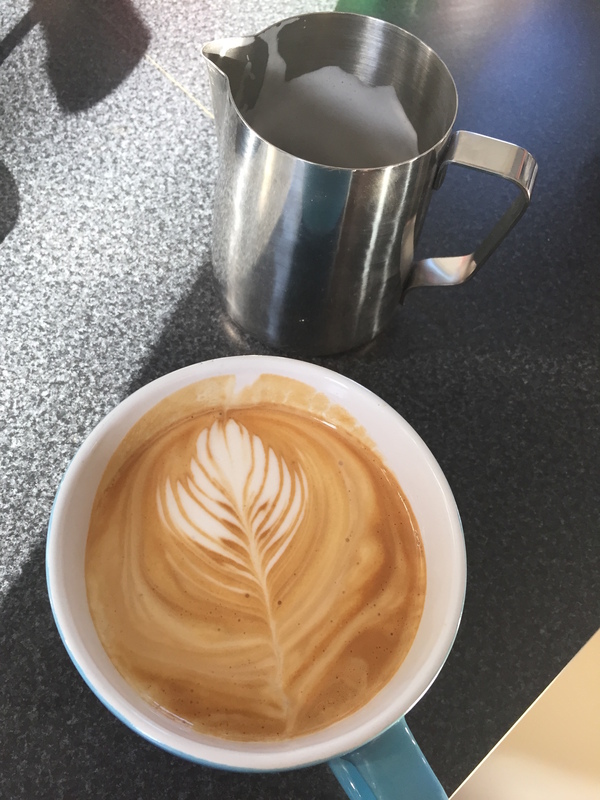 Who: barista, what: practices latte art, where: at home, why: because she takes pride in her work. I figured the ‘when’ aspect wasn’t necessary. Caption: Full time student and barista says; “It isn’t so bad when you enjoy what you do.” Rachel Fettes, 21 spends her time working as a full time barista whilst also studying a Diploma of Business at Central Queensland University. For this picture, I needed a caption that explained what was behind the image instead of what was in the imagine. As David Miller (2012 p.1) from Matador Network explains, a good caption can “give the viewer context, backstory, information that the viewer CAN’T see”. For this caption I was afraid that I was including too much information, however, without the background story this picture would simply just be a coffee – the reader might not understand the significance of the image. Caption: Breakfast is served! 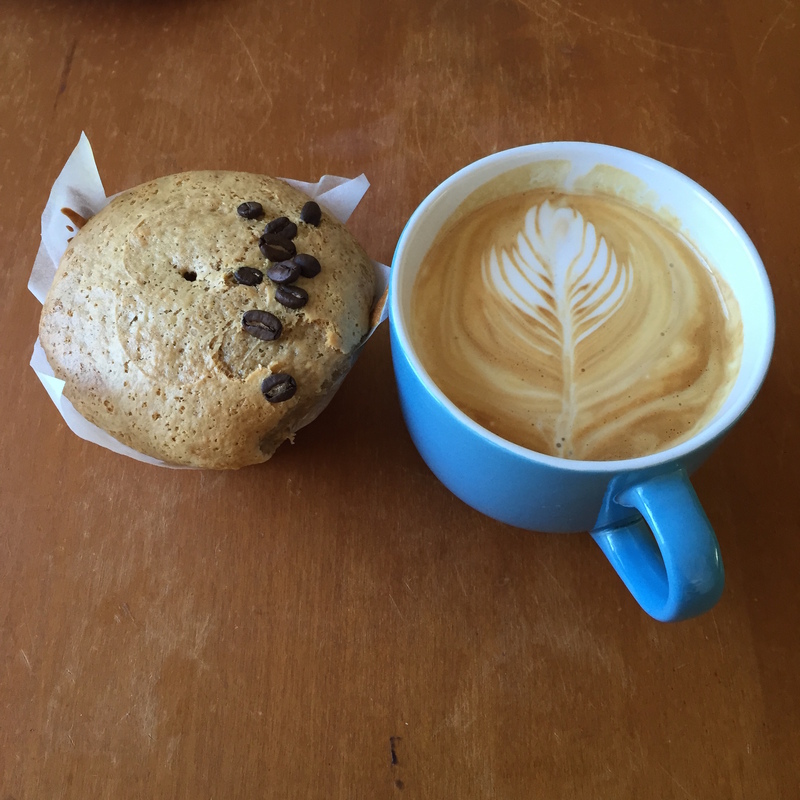 A warm mocha muffin, the perfect compliment for a coffee to mark the beginning of Spring in Brisbane, QLD. For this caption, I wanted to avoid using “pictured” or “can be seen” as I find these terms obvious and unnecessary in this picture (Irby 2015). This photo and caption tell a backstory as there isn’t much happening in the photo itself for the reader to gain an understanding. 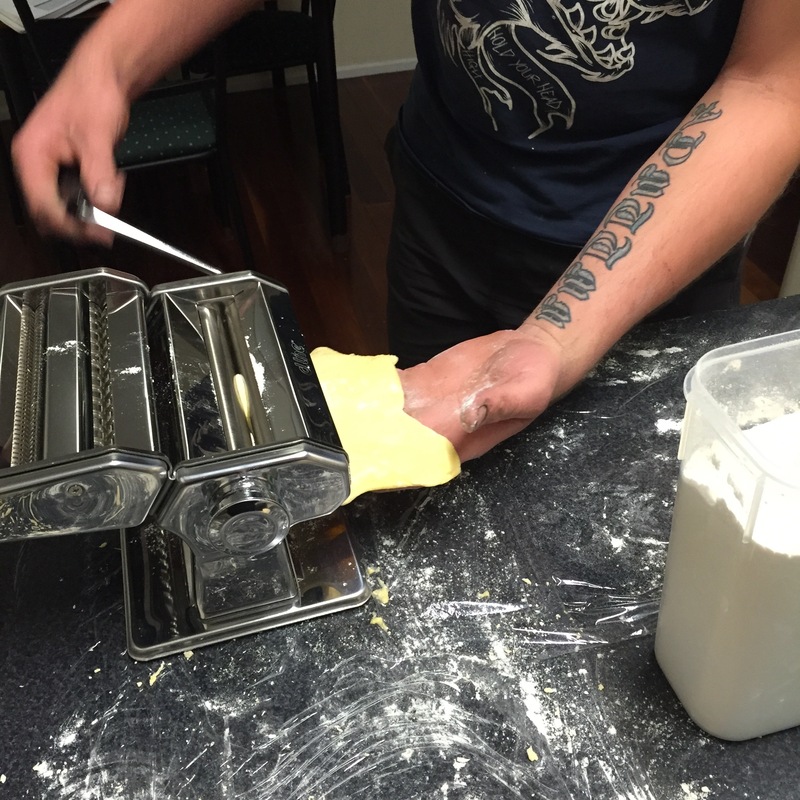 Caption: Amateur pastry chef Luke tries his hand at rolling fresh lasagne sheets on brand new pasta machine. When writing this caption, I didn’t want it to be too short or involve unnecessary information. The background to this picture is a little long winded. A year ago from when this picture was taken, I was travelling around Italy. My partner, Luke, tried to cheer up my traveller blues by making me pasta. I couldn’t quite figure out how to incorporate that into this caption without it being too long or containing unnecessary information. I’ve tried to include the important facts in this caption; the who, what, how. Reflection: Before this blog task, I thought caption writing was easy. After reading all the suggested websites on caption writing, this idea certainly changed. I had never considered the angles you could write the caption from, that some captions required backstories and some required multiple parts. I’ve been instructed to reference and draw from the readings from the weekly activities in my blogs and this week I feel that I’ve taken on board this feedback and addressed the issue. Thinking back to my caption for assessment one, I feel confident that I had a well-written and informative caption and that I included all the elements necessary.